Every 90s kid probably has a memory of his/her mother wearing a loose, comfy nightie at night. Thought it might have gone slightly out of fashion today, it still remains the most comfy sleeping uniform. And since we're talking about nighties, lets focus on Gopal and Sons, a small, hole-in-the-wall shop in Dadar, that caught our fancy with its super affordable nighties. 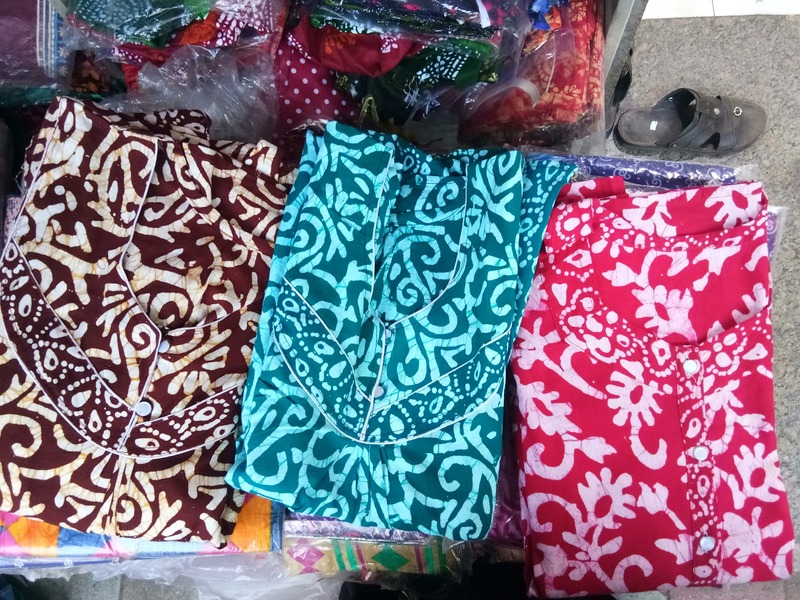 Each nightie has West Bengal's Batik adorning it, in various colors and sizes. You can get a pack of five nighties for INR 180 each. Apart from keeping Batik prints, they have Batik originals for INR 220 (which is very reasonable a price) So in case your mother still loves her nightie more than anything else, or if you are looking for one for yourself, buying from Gopal and Sons might just be one of the best decisions you've made. P.S- You may call the shop on 8451928033.